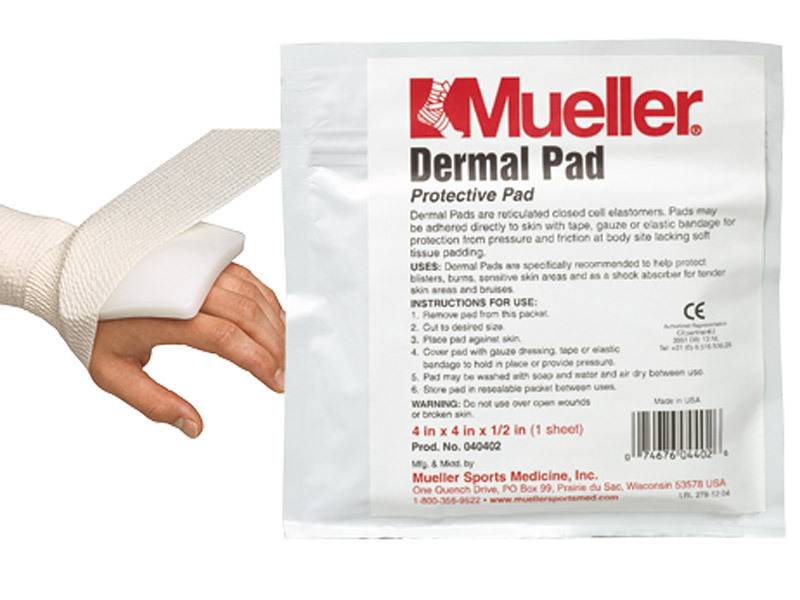 Buy Mueller Dermal Pads - Prevent blisters and chafing. Feels like consistency of human flesh, secure in place to prevent burns and blisters. Natural shock absorber to pressure areas under pads. Adhered directly to skin with mesh, gauze or wrap.